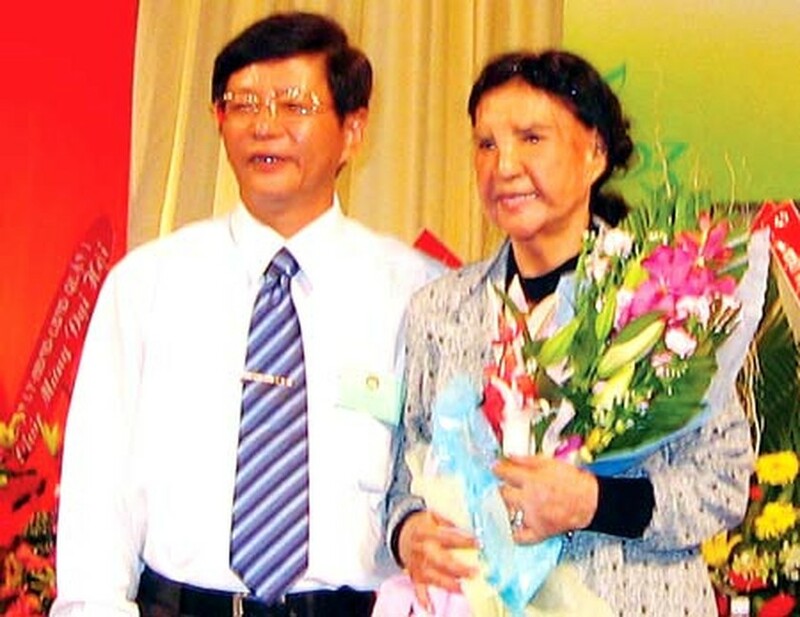 Ngo Thi Bi Bi, an 80-year-old Pakistani citizen, made great contributions to Vietnam during its resistance wars against France and the US, thus, the president of Vietnam allowed her to change her citizenship to Vietnamese. Le Ba Can, Secretary of the District 1 Party Committee, Ho Chi Minh City, presents flowers to Ms Ngo Thi Bi Bi at a congress of the district’s Fatherland Front Committee. She became an invalid in the anti-French resistance war and then continued to serve during the revolution against the US. She was born Mahamas Bi Bi. Her mother was from Hanoi and her father was a Pakistani merchant who traded in Saigon and Hanoi during the period leading up to the August Revolution of 1945. The daughter of two bloodlines became a revolutionary solider in the anti-French resistance war under sensational circumstances. It was unfortunate when her mother passed away, as she had just turned ten years old. French colonists came back to occupy Saigon and Hanoi from 1945-1946, causing much difficulty for Mr. Mahamas’ business, so he went to Phnom Penh, Cambodia, bringing his daughter along. In the country of temples, he missed his wife and searched for a Vietnamese tutor to bring up Bi Bi, who he loved very much. Ngo Thi Nam, who had just arrived in Cambodia from Vietnam, agreed to work for him and be his daughter’s tutor. Nam was a revolutionary soldier from the Mekong Delta province of Cuu Long, Vietnam, who came to Cambodia to seek shelter because French detectives had sought her. 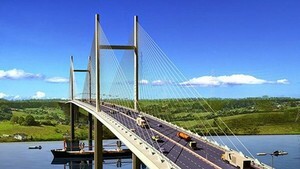 French detectives followed her to Cambodia so she had to return to Chau Doc District in the Mekong Delta An Giang Province. Nam did not have the heart to leave Bi Bi alone in Cambodia, with her father going off to trade in another province, so the tutor brought Bi Bi with her back to Vietnam. At that time, Bi Bi was only 13 years old, apart from her father and live with the tutor, an adoptive mother, and she followed Viet Minh (Vietnam Independence League) from that day. She followed her adoptive mother in conducting revolutionary activities in the vicinity of Gia Dinh. Unluckiness came to her again when her adoptive mother passed away due to a serious illness. She became a messenger of the 15th Platoon and then of the 308th Regiment commanded by Huynh Van Mot when she turned 16 years old. She helped many officers to travel secretly in and out of inner Saigon, and supplied chemicals, foods, clothes and many other goods to revolutionaries. She also gave medicine and information to officers arrested at the Catinat police station. While running errands for the 308th Regiment on Ong Co paddy field, now in Binh Thanh District, in 1948-1949, she was severely injured when enemy airplanes detected revolutionary soldiers, dropping bombs and firing down shots. In the anti-American war, her health was not good but she made her house a place for officers to stay and organize meetings. She also adopted many children of war martyrs. Now she lives alone in Ben Thanh Ward, Ho Chi Minh City’s District 1, and has enjoyed benefits from preferential polices for war invalids since the country’s reunification in 1975.